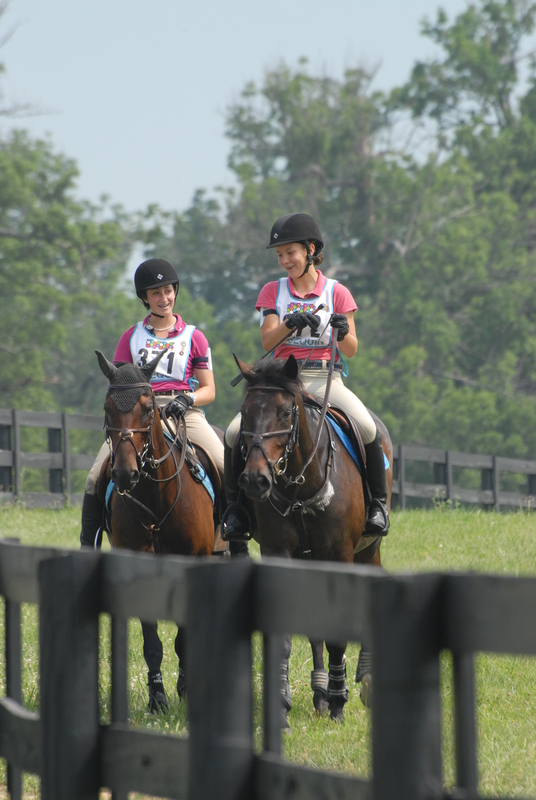 Like hundreds of other Pony Club members from across the country, you’ve worked hard all season and have secured a spot on your Region’s team for Festival 2014 at the Kentucky Horse Park in Lexington, Kentucky. Congratulations! With less than a month to go, you should be starting to consider all the things you and your trusty steed will need during the week-long event. Here at the National Headquarters, we’ve come up with a helpful guide to hitting the road to Kentucky. •	All Pony Club Required Equipment – Check with your teammates to see who is bringing what so you don’t end up with duplicates that can take up space in your tack room. •	Your Tack – Don’t forget if you’re competing in dressage during the Championships portion but planning to jump during Education to bring your jumping saddle. •	Sunscreen – Its July… in Kentucky… no crispy Pony Club members please. •	Bug Spray – The mosquitos are legendary here much like in the Deep South and South regions. •	Fly Spray – The BIG bottle. Your mount will appreciate it when you don’t run out on the second day. •	A Water Hose – The Horse Park does not supply hoses at the wash racks or in the barns. The coily hoses are easy to store and can reach a long way when needed. •	Folding Chairs – Infinitely more comfortable to sit on in the tack room than you tack trunk could ever be. •	An Extra Fan for the Tack Room – After having ridden in the heat all afternoon, it’s nice to have a fan in the tack room to help cool off. •	Tarp or Burlap for Cleaning Stalls – This is a MUST, especially if you’re arriving early or staying for the Education portion. You may have to move stalls and having a tarp to throw clean shavings on to put in your mount’s new stall will save some money. Your parents will thank you. •	Extra Saddle Pads – These are great to have for hacking before competition starts and for use during Education. No one wants to use the same stinky pad all week. •	Small Step Ladder – Some of the outlets in the barns are really hard to get to from the ground and require some creative extension cord looping; a step ladder will make hanging you mount’s fan a breeze. It can also come in handy when setting up your tack room, especially for shorter members. •	Supplies for Hanging Fans – Bungee cords, zip ties, or those nylon fan hangers work great for getting your fans up high enough to do some good. •	Comfy Shoes – While boots are always required while in the barns, comfy shoes for running around in after barns close are a great idea. •	Zip Ties – These little pieces of plastic are a Pony Club member’s best friend (along with duct tape and bailing twine). They work great for hanging fans, tack room equipment, stall guards and chains, and so many other things. •	Longer Outdoor Extension Cords – As I mentioned above, some of the outlets in the barns require some creative thinking to reach. The longer outdoor extension cords might be bulky but the length is sometimes necessary. •	Three-Prong Outdoor Three-Way Plug – Turns one outlet into three! Make sure you get the outdoor ones though or the Horse Park will unplug them and remove them. •	Rain Gear – The weather in Kentucky can be really interesting. Pack your rain gear just in case. •	Cooler for Tack Room – It’s much easier to stock a large cooler once in the morning with ice, drinks, and snacks for the day than trying to remember to go to the Neutral Zone to grab those items. •	Hat – For two reasons: to help keep you cool and to hide the helmet hair we’re all going to have. •	Backpack – For parents and members. They make toting things in and out during the day so much easier. Stable Managers may also want to have one handy for trips to the ring with rags, hoof picks, water bottles, and other necessities. The list could go on and on but these are just a few things you might want to bring along. Good luck in your final preparations for Festival! We can’t wait to see you in Kentucky!